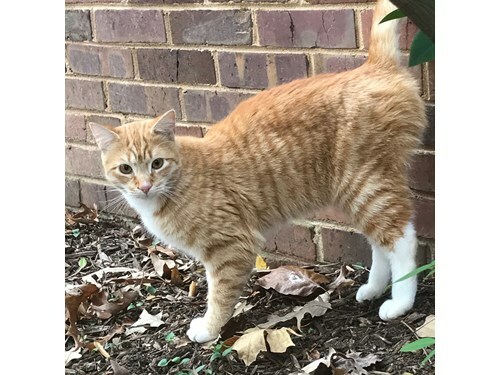 Comments: Orange and white tabby with white paws and lower half white back legs found 12/2/18. Has been seen wandering for 2 months in courthouse/ colonial village complex area. Have taken him in- will be scanned for microchip tomorrow and hope to find owners. If this is your cat or know it please contact me.